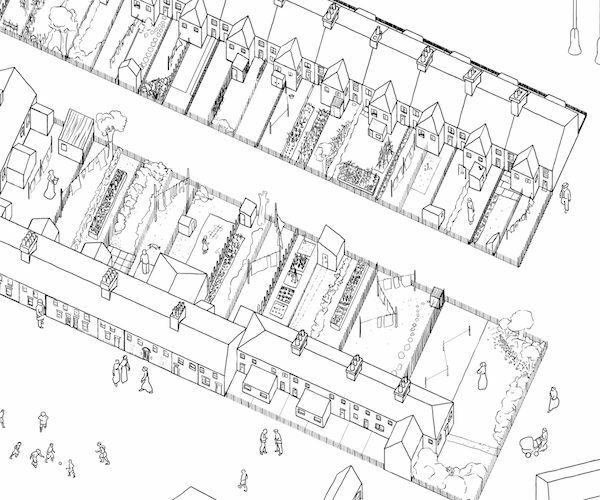 I was commissioned to draw a populated map and story panels to illustrate a commemorative plaque at the site of Creekmouth village in London. This is certainly one of the most unusual “friendly infographic” pieces I’ve done and the first time I’ve ever seen my name engraved with such permanence! 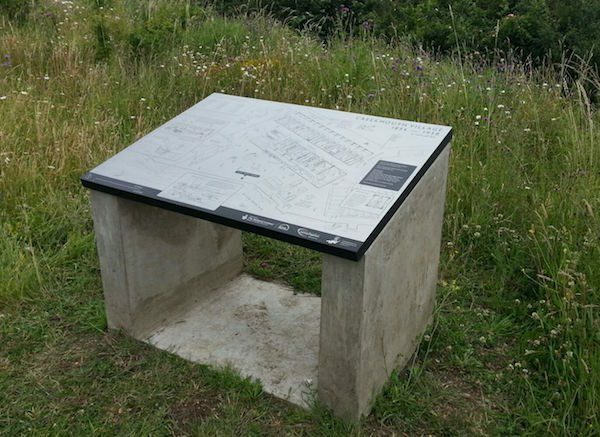 The illustration has been engraved into a steel plate and mounted on a concrete plinth in the Creekmouth Open Space. 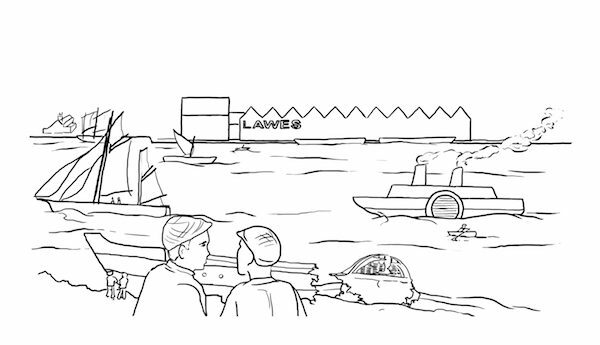 Creekmouth Village was built on the banks of the Thames in east London by Victorian agricultural scientist Sir John Bennet Lawes, for workers at his fertiliser factory, and was destroyed in the 1950s by flooding. A regeneration project was started in 2005 and there is now a park or open space on the banks of the river. 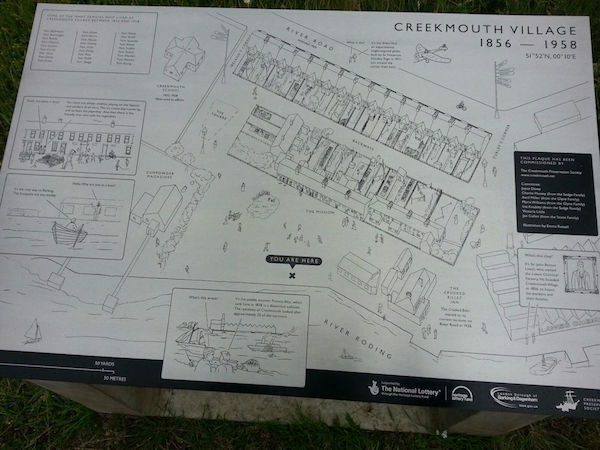 For more information about Creekmouth see the Creekmouth Preservation Society. The agency for this project was the design studio Objectif who did the lettering and layout of the plaque.